Alright Ladies, We are falling in LOVE with light weight sweaters for this upcoming spring season. This striped sweater is so comfy and lightweight. It is the perfect transitioning piece for going into Spring. Throw this sweater on with your favorite jeans and booties for an adorable on-the-go look! 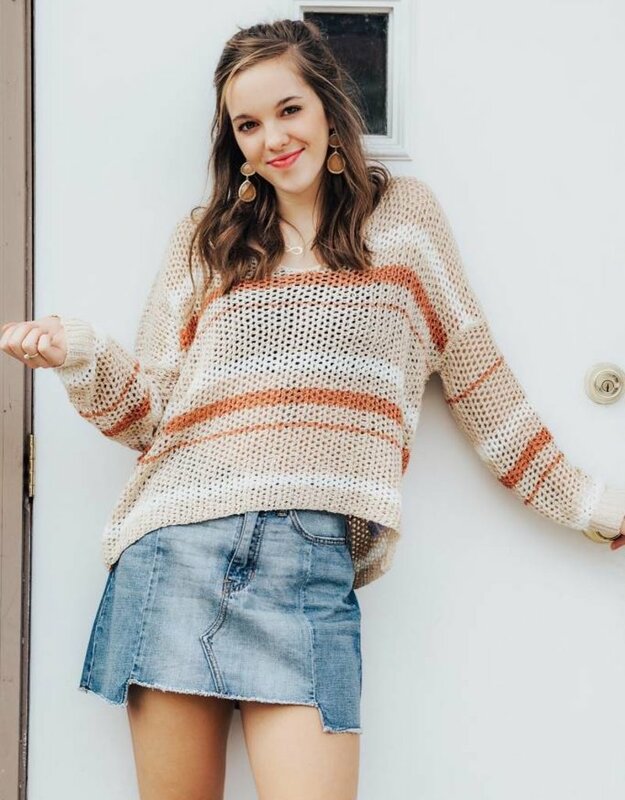 Such a lightweight sweater for the spring and fall! I bought it to wear as a beach cover up and it looks so cute!